The skies above the UK have been brought to life like never before in a video showing a day of air traffic in less than three minutes. 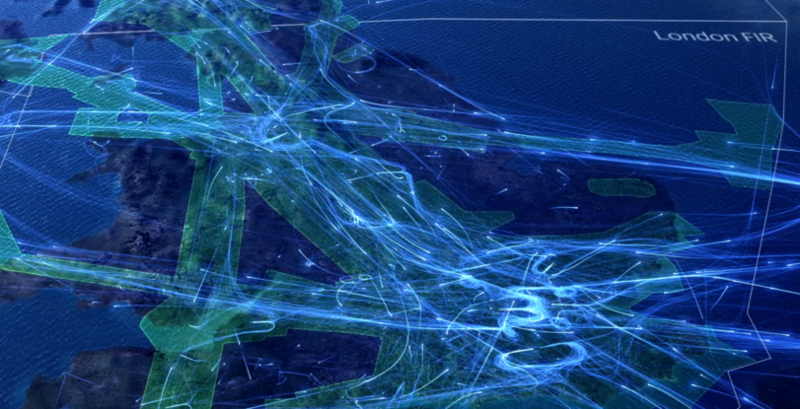 Created from actual radar data showing over 7,000 flights, the video graphically illustrates the daily task facing air traffic controllers and the airspace features that help make it all work. Created by air traffic management company, NATS, the video takes viewers on a unique tour of some of the key features of UK airspace – from the four holding stacks over London and the military training zones above Wales, to the helicopters delivering people and vital supplies to the North Sea oil and gas rigs. It finishes with an overview of the structure of UK airspace, highlighting the major air routes and showing how this ‘invisible infrastructure’ helps underpin the entire operation. Matt Mills, NATS Head of Digital Communications, said: “We’ve made data visualisations in the past, but we wanted to now take people on a deeper journey into what makes UK airspace work and some of its important features.